Rhondalynn Korolak is the founder of businest® and Make the SHIFTTM. Rhondalynn qualified as a lawyer and chartered accountant in Calgary, Alberta, Canada, and practiced in the oil and gas taxation niche with PWC and Macleod Dixon. After immigrating to Australia, she practiced as a business coach specializing in cash flow management and created businest®—which won The App You SHOULD be Using at Accountex in 2016 and was named in the Top 10 new apps in the world by Intuit QuickBooks. 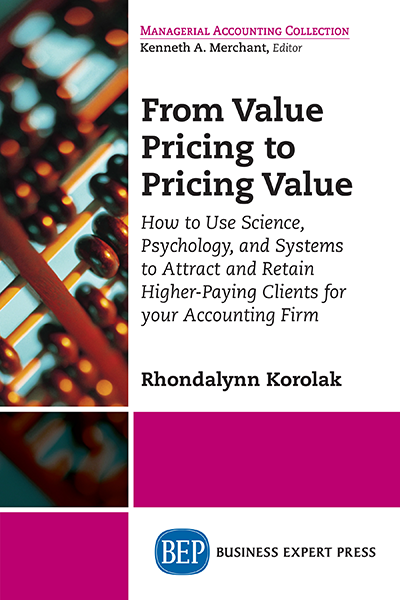 Rhondalynn now works exclusively with accountants as an advisory trainer, keynote speaker and pricing value expert. She’s distilled the secrets to success and produced a step-by-step process that accountants can apply to attract more high- value clients and build a thriving advisory practice. Rhondalynn is the best-selling author of On The Shoulders of Giants, Financial Foreplay, and Sales Seduction. In the USA, she has appeared on/in CNN, Bnet/CBS, Intuit QuickBooks, Yahoo, Accountex, and more. In Australia, she has appeared on/in Channel 7, Channel 9, Kochie’s Business Builders, Intuit QuickBooks, Institute of Professional Accountants Magazine, and many others.